We offer a full suite of services including safety services and general electrical engineering. Learn more about our services today and what we can do to help you protect your business. We are one of the few companies in Ireland with experience in large scale pyro electrical engineering. Our highly trained electricians with 30 years of experience are ready for any project you may need. Have an old fuse-board to be replaced or need a fuse-board put in? Look no further than our specialised team. With our extensive background in electrical engineering, you can trust us to protect your property. We understand you can’t afford downtime, that’s why we offer a preventive facility maintenance service.  Our electricians have a broad range of experience across domestic, industrial and commercial electrical engineering. We offer a full suite of services including electrical safety services and general electrical engineering. Learn more about our electrical services today and what we can do to help you protect your business.